Namaste! Welcome to Arsha Vidya Sampradaaya, the lineage and tradition of Arsha Vidya, knowledge of the Rishis passed on to us by Pujya Sri Swami Dayananda Saraswati ji (1930-2015) acknowledged as the ‘guru of gurus’ and one of the greatest Advaita Vedanta scholars of his time. To make available the teaching of Advaita Vedanta across the world by sharing the contact details, activities, projects, links to websites of hundreds of Arsha Vidya teachers. 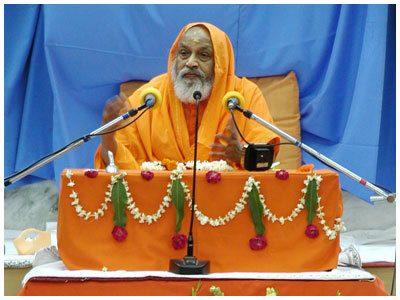 These teachers directly taught by Pujya Swami Dayananda ji or his direct disciples uphold the tradition and teach in many languages and in many countries. While here, you can Seek knowledge, Explore, Connect, Invite, Collaborate… The possibilities are endless….